Jazz in John Howell Park! Mark your calendars now for Sunday May 3: jazz in John Howell Park! Thanks to District 6 Councilperson Alex Wan for hosting and the Atlanta Jazz Festival for presenting! And thanks to NPU-F Chair Debbie Skopczynski for making sure we knew about it! Fire Station No. 19 is one of three fire stations slated for replacement in 2016. This list is generated as solely a proposal to lifecycle all stations based on such variables as age, building code, etc. However, the capital necessary for a new facility has not been budgeted, nor are there yet any viable sources, thus dramatically lessening the likelihood that this will actually happen. As a result, preliminary meetings between Atlanta Fire & Rescue and concerned residents have taken place, and plans are underway to renovate the fire station. Bike Boxes – What’s All the Green Paint About? Passing along the following information and link to e-newsletter from our City Councilperson Alex Wan. Please avoid getting on the roads if at all possible, particularly as the temperatures continue to drop, and the roads begin refreezing. The City’s priority has been to assist GDOT with unclogging the interstates. We are also working on clearing major arterials through the City, followed by secondary streets. The Mayor’s office informs us that abandoned vehicles in the City of Atlanta street right-of-ways are simply being moved to the side and out of the way, and not to other lots. Where the City is assisting GDOT in clearing the interstates, cars are also being moved to the side and not to another lot. In instances where vehicle owners are with their cars and need assistance, those cars are being towed to lots. The City will be mobilizing with meals this evening for those that are still stranded in their cars and in shelters, fire stations, etc. Please help us make sure that those in need are accounted for by having them call 911 or contact Michael Sterling in the Mayor’s office at 404-664-1921. We also learned earlier this afternoon that all Atlanta Public School students are now safely at home. City of Atlanta and Atlanta Public Schools will remained closed tomorrow due to the weather and icy road conditions. I will continue sharing updates with you as I receive them. Please be safe in all of your activities until everything melts. 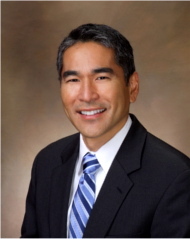 Click here to read City Councilmember Alex Wan’s District 6 newsletter for August. The newsletter includes updates on the new 10th St. bike lanes/cycletrack, pedestrian safety issues related to the new Piedmont Park entrances on Monroe Dr., the city’s new security alarm registration program and recycling programs in the community. Click here to read the latest newsletter from District 6 CIty Councilperson Alex Wan. The newsletter includes updates on today’s City Council vote on the proposed legislation to sunset or amortize adult businesses along the Cheshire Bridge Rd. corridor, a Peachtree Road Race safety update, and update on the status of the Atlanta Ferris Wheel, and more. Following are comments made by District 6 City Councilperson Alex Wan in an email to constituents regarding neighborhood commercial (NC) legislation proposed for the Cheshire Bridge Road commercial corridor. Click here to read an online version of the email. I want to thank everyone for all of the feedback that you have provided me regarding the proposed Cheshire Bridge Road Neighborhood Commercial (NC) districts legislation – both those that support the effort and those that have raised concerns about its impact. Please know that I have been taking everything into consideration. There are essentially two revisions to each. First, the legislation now applies only to adult businesses within NC-4 and NC-5 (versus all non-conforming uses as originally presented), and second, the amortization period has been extended from two to five years. It is my hope that the amended legislation, if adopted, will help the corridor realize as much of the vision set forward by the original Cheshire Bridge Task Force Study in 1999 as possible, while further minimizing the number of businesses that would have been negatively impacted by the legislation as it was originally proposed. I encourage everyone to continue participating in the legislative process, which includes the ZRB meeting on Thursday night where the board will hear the application again and may render its recommendation to Council on the proposal. The meeting is open to the public. However, public comment is limited to 10 minutes in support and 10 minutes in opposition, unless the board elects to extend that time. From there, it moves to City Council’s Zoning Committee and then to full Council for deliberation. As always, I continue to welcome your feedback and questions on this matter. Please contact me at (404) 330-6049 or awan@atlantaga.gov if I can be of assistance. Here’s a link to District 6 City Councilmember Alex Wan’s latest eNewsletter with updates on his efforts to introduce legislation to gradually reduce legal, non-conforming land uses along the Cheshire Bridge Road Neighborhood Commercial District; local intersection upgrades related to the federal Safe Routes to School (SRTS) program; the proposed new Falcons stadium; and distribution of larger recycling carts to city residents.